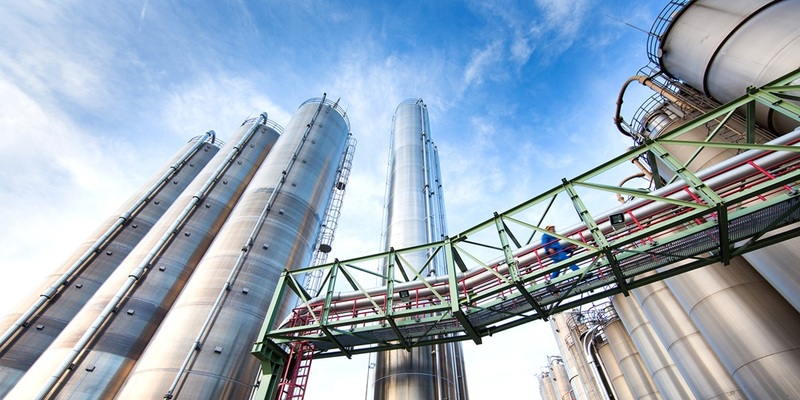 A programme to develop methods of using CO2 as a feedstock for plastics manufacturing is now seeking industrial partners in Europe. A Europe-wide project to investigate methods to convert carbon dioxide into plastics was launched last week at the polymer industry’s major trade show, the K Fair in Düsseldorf. The project, called EnCO2re, currently involves a dozen research partners, including Imperial College London and Oxford University, in seven countries. The recent launch marks the point at which it is ready to work with industrial partners to scale-up processes that are currently only at laboratory scale. There are three main routes for CO2-to-chemical conversion, and the EnCO2re programme has active projects in two of them – catalysis and electrochemistry – and it plans to add projects in a third route, biological conversion, during 2017. According to the programme partners, the CO2 reuse market has the potential to grow by more than 20 times current size, and could reach a total value of 3.7 billion tonnes per year: equivalent to around a 10th of global emissions. Programme manager Ted Grozier acknowledges that plastics do not have the best image as environmentally friendly products. “While easy to point out the environmental problems of plastics, the reality is our society depends on these materials in critical sectors such as healthcare, insulation, and in making vehicles that are lighter and use less fuel. But we need to work out how to make these materials without using fossil fuels.” The EnCO2re programme, he added, aims not only to close the loop in the industrial carbon cycle and transform CO2 from a globally-hazardous waste product into a valuable feedstock, but also to make such technology a pillar of European industrial competitiveness. In terms of technologies, the EnCO2re program is working along several fronts. These include ring-opening polymerisation; catalyst for direct polymerisation of gaseous carbon dioxide; and transition-metal intermediates. It is also looking at geographic case studies, carbon dioxide value chains, life-cycle assessments, and issues of public perception and technology acceptance. While some technical concepts are only at proof-of-concept stage, others are nearer commercial readiness. These people are shysters after the globally available $Billions of taxpayer dollars being chucked at a fallacy. There is no conclusive proof that CO2 causes GW, far less anthropogenic CO2. The link between CO2 and global warming was established in the 19th century. Welcome to the 21st. SN surely owes objectivity to an audience afflicted by frenzied freeloaders in mcluhanised media viz theengineer.co.uk/science-and-climate-sceptics-should-come-clean (Andrew Wade) :: also a perjorative piece it catalysed 110 comments, almost all aware apparently that assertion ain’t adequate for attribution although none noted the camplaign circus is costing our country £20Bpa in pumpishment alone, £1Bpa orso for 10k orso campus caballites illeducated in even elementary essentials for evenhanded evaluation. No surprise STEM was suffocated during decades of drivel that decimated the strongly scienced syllabuses once everywhere envied for elitist excellence! The calculations in the 19th Century have been substantially discredited and the later basis for calculation is the so-called grey-gas approximation (also called Beer’s Law) and this is also only valid for single components: the values were proved to be non-additive in the early 20th Century. Beers Law actually shows that the effect of adding CO2 decreases logarithmically with concentration and the often claimed effect of doubling CO2 has been another of the AGW lobby’s dubious use of feedback loops which more than double the effect of the gas. This error has formed the basis for the AGW theorists and its fallacy is clear in section 5 of the IPCC massive reports. Attempts to repeat the famous Al Gore experiment in which a tank of CO2 showed greater absorption than air alone has been shown to be a fraud and all attempts to repeat it have failed. All of this material is available in the literature, but ignored by the AGW believers….. wonder why!! You can often assess the character of people pushing a view from the language used! How about using plastics for fuel instead of cluttering up land fill sites. There is a perfectly proven system for turning plastics into diesel fuel, and with a little tweeking, petrol. Same with old car and truck tyres, into flammable gas to drive gas turbines for the production of electricity. The only waste from this would be high tensile steel and carbon black which could be recycled. We all know that the increase of CO2 could cause ireversable damage to our planet, let’s stop producing so much of it and find ways of repairing the damage already done.